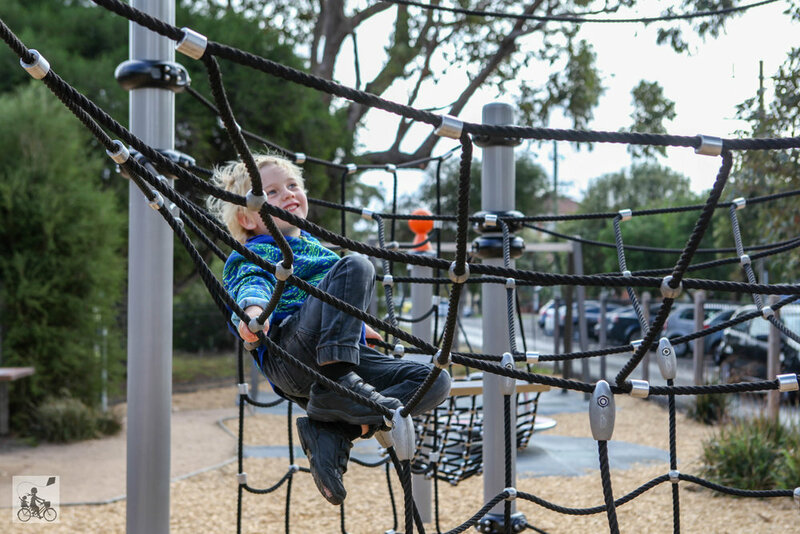 Mamma loves a play-space that is fully fenced in! This is a perfect spot for a play. Yes, it may be small - but the space is exquisitely executed for maximum fun. There's your usual suspects - swings, slides, spinning wheels; and then there are your heroes - climbing net, sandpit and hammock - BUT then there is something you don't see very often, in fact - this Mamma has NEVER seen one before - a climb-aboard rocking tram! Or as the little ones labelled it - disco tram! How Melbourne is that? The whole playground is covered with either tarmac or rubber mats. 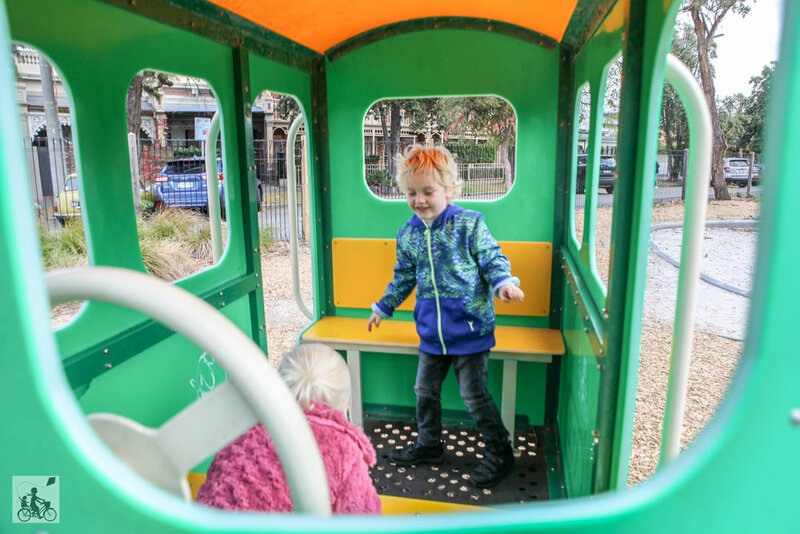 This cute little play space is located in the median strip of a wide street, with lovely views of the city buildings, whilst also being a stones throw to the beautiful South Melbourne beach. You can bring a picnic, enjoy it at the picnic table under leafy trees and relax in peace knowing the there will be no escape acts from the little Houdini's!